There are certain dishes that remind you of love and comfort. They conjure intimate, loving memories of mother and father and brothers and sisters, and just good times at home. Arroz Con Leche is one of those dishes. It’s comfort food for the soul, and it is loved all over Latin America. In fact, it is one of the dishes that link the Texas Mexican Region to every other Latinx region and community, from Mexico to Colombia, to Peru, and all the way to Chile and Argentina. 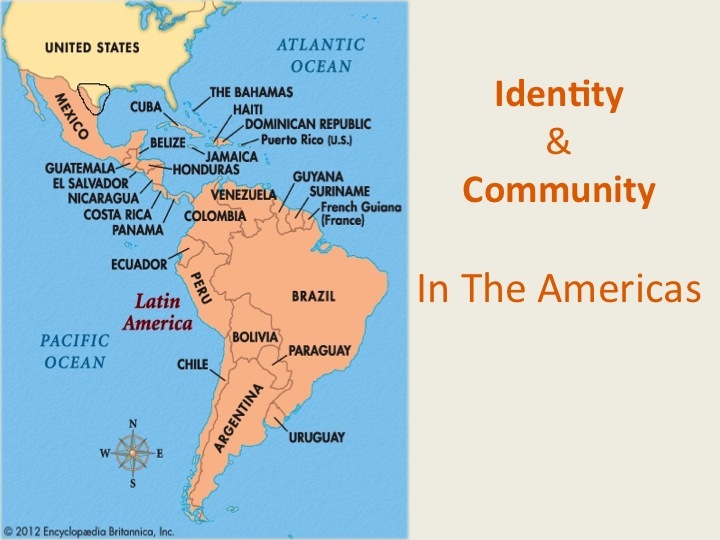 This map shows our region as part of the Americas hemisphere, and I often like to discuss how we are connected by the history of the land we walk on, the Americas. 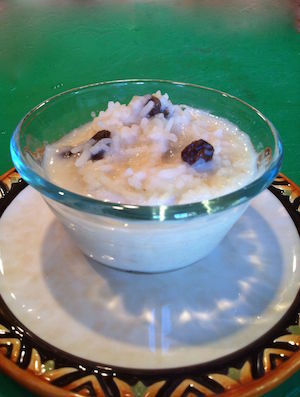 Arroz Con Leche is a classic comfort food in all of the Americas. “This recipe will serve 8 normal people, but in my eyes it’s a crime to make less. I am capable of devouring it at one sitting without blinking an eye, and I don’t see why it should be any different in your case, my dear reader. But if you can’t finish, you can keep it in the refrigerator, then, should you be in a good mood, you can cover your lover from head to foot with this mouthwatering arroz con leche and slowly lick it off. On such an occasion the calories are justified. My recipe has raisins and Mexican cinnamon, and it’s a version that’s shared by many Mexican American families. It’s one of the 100 recipes in my book, “Truly Texas Mexican: A Native Culinary Heritage In Recipes.” Not only is this a, lush, vivifying treat, it’s also, as you’ve seen in many of my recipes, an example of simplicity. The best things in life are often really simple. 1. Bring the water, cinnamon stick, and rice to a boil, lower the heat, and simmer for 25 minutes. Then add the milk and sugar, and cook for another 5 minutes. 2. Remove the cinnamon stick, add the raisins, and stir. The raisins will plump within seconds and then it is ready to serve.